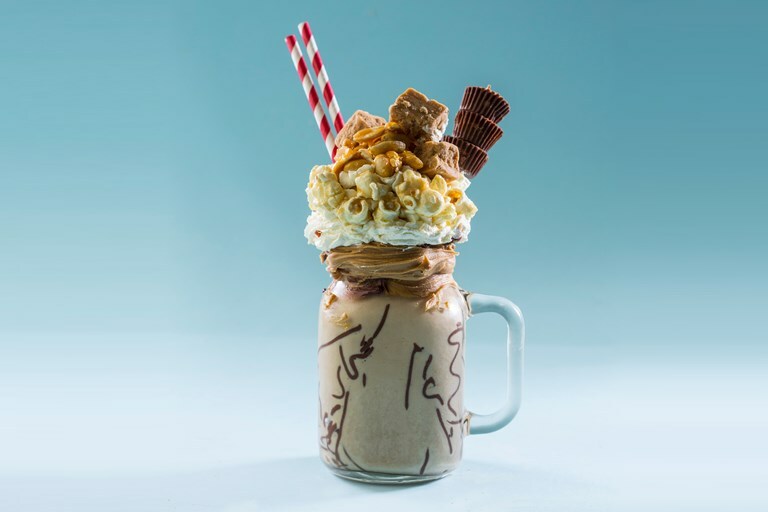 Sally Abé serves up a stunning salted caramel freakshake recipe, featuring a rich salted caramel and peanut butter milkshake topped with caramelised peanuts, popcorn and peanut butter cups. 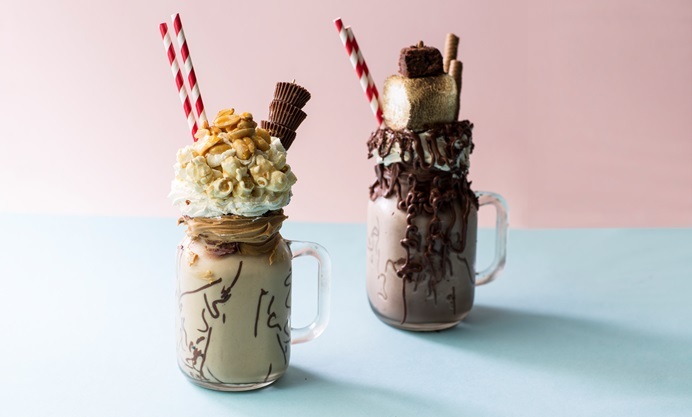 Check out Sally's chocolate freakshake recipe for further indulgence. Add a couple of straws and enjoy!